Since the Arab Spring in 2011, the already heavy flow of migrants from Africa and the Middle East to Europe has spiked. Over half of those seeking asylum and braving the risky journey to reach safer European borders originate from countries engulfed by civil wars, persecutions and repressive governments such as Syria, Afghanistan, Nigeria, Eritrea, and Iraq. The problems within the European Union (EU) arising from this increased migration flux depend mainly on the sensible and arduous compromise between managing the rising number of refugees entering the EU and the attempts to ensure that these refugees are settled through legal and official channels. The issues are deepened further when analyzing the humanitarian conditions of these asylum seekers. Once they reach what they believe to be a safer location, the efforts to legitimate their presence on European soil is often in contrast and sometimes even in violation with the EU asylum standards. In order to understand why the EU is undergoing so many obstacles when dealing with the arrival of refugees, we have to introduce two important arrangements: the Dublin Regulation and the EU-Turkey deal on the migrant crisis. The Dublin Regulation is an EU law that determines the EU member state responsible for processing those applying to receive international protection. Approved in 2013, the Dublin Regulation requires the country in which the asylum seeker first entered to be responsible for either accepting or rejecting the request. It also blocks asylum seekers from renewing the application process in other locations in order to avoid the phenomenon of “asylum shopping,” which occurs when an applicant submits multiple applications in several EU member states. In fact, because of this law, if an asylum seeker tries to move to another state, they will be transferred back to the member state where they first arrived. The regulation is also supposed to prevent what is commonly known as “asylum orbiting” where asylum seekers are moved from one country to another with no member state taking responsibility for them. The Dublin Regulation appears to be a solution to the chaotic situation of migrants, but there are several problems that can be pointed out. Firstly, many humanitarian organizations criticize the fact that the regulation obstructs the legal rights and personal well-being of the asylum seeker, such as the right to a fair examination of their asylum claim, and once accepted, the right to effective protection. Secondly, countries that are more likely to receive migrants initially, are the ones closer to the refugees’ countries of origin. Therefore, this law creates an unequal distribution of asylum claims among member states by placing too much responsibility and often burden on member states that serve as the main points of entry to the EU, like Greece, Italy and more recently Hungary. The second solution finalized on March 20, 2016 by the EU, in cooperation with Turkey, is the EU-Turkey deal. Under this arrangement, established because Greece was unable to manage the increased influx of refugees, migrants arriving to Greece would be sent to Turkey if they came through illegal channels or their application for an asylum was denied. An exception would be made for Syrian refugees, as according to the deal, every time a clandestine Syrian migrant is sent back to Turkey, one Syrian already in Turkey would be transferred to the EU, provided that their documents are officially approved. This cooperation between the EU and Turkey, supported by mutual benefits (legalization of migrants’ arrival for the EU, financial aid and inclusion in the Schengen zone for Turkey) is highly criticized. First, it guarantees a resettlement to Syrian migrants only, without taking into account the many refugees who find themselves between the pre-deal and post-deal situation. Moreover, in addition to the EU breaching the UN refugee convention by expelling such a great number of asylum seekers, Turkey cannot be considered a safe third country for the temporary accommodation of refugees. Recent reports by Amnesty International reveal that Turkey did not grant temporary work visas, healthcare and education to its refugees as promised, and that the country also expelled many of them, leading them back to the situation they were trying to escape. These two arrangements show how poorly the refugee crisis is being managed by European authorities. Additionally, the crisis has also contributed to three main issues: poor internal organization of the EU, economic hurdles, and the rise of populism and nationalism within each member state. The organization of the EU has been problematic since the establishment of the Union. The root of the matter lies in the fact that there is no sovereign authority that can actually force every member state to cooperate and implement EU laws. In 2015, Germany tried to apply the sovereign clause by suspending the Dublin Regulation in order to better accommodate both the interests of the immigrants and those of the entry-point states. However, the influence of opposing domestic political parties led to an unstable and imprecise intake of refugees, with no clear rules on the costs and numbers of the ones accepted. One solution would be to enforce mutually coercive contracts that would hold each member state accountable to the agreements made in the European Parliament. But the Dublin Regulation and the EU-Turkey law illustrate how unsuccessful international cooperation can be, as those two agreements led to conflicts within the EU and with many humanitarian organizations. a guaranteed path to citizenship which is still very complicated in most European countries. On the contrary, the cost of temporary measures, like the Turkey Deal or Operation Triton, will simply keep adding up, as they do not include research for a better system of integration for the arriving refugees. If assimilation does not succeed, or is not attempted, temporary solutions will only further disenfranchise the newly arriving immigrants, making them more vulnerable to the influence of terrorist and extremist movements. In fact, Ambassador Emerson remarked that ISIS used many European, home-grown individuals to carry out the recent terrorist attacks in France and Germany. Finally, another phenomenon is appearing out of the migration crisis, especially since Brexit in 2016, namely the rise of nationalist and populist movements. This is best exemplified by the dynamics of the 2017 French presidential elections which saw the fierce competition between the candidate of the populist National Front, Marine Le Pen, and the new President Emmanuel Macron. Other examples of this are the Italian Five Star Movement, characterized by its willingness to close international ties in order to reinvigorate domestic markets and workers, and Germany’s opposition coalition to Merkel’s administration which has fervently requested the closure of German borders from the arrival of more asylum-seekers. All these parties represent what is becoming increasingly clear: European citizens’ desire to stop the migration flow by closing its borders. This for now would mainly affect migrants, but in the future, it could mean the end of the EU as we know it, since the discontent towards the management of clandestine refugees is becoming more and more intertwined with the growing Euro-skepticism of several popular European political parties. Since the Islamic State in Iraq and Syria (ISIS) formed in 2013, the United States has led a frontline fight alongside its allies to degrade and destroy the radical jihadist group. However, ISIS still persists throughout the region, and the US-led coalition’s strategy to defeat the group through primarily military means is flawed, especially where its inability to curb ISIS’s recruitment and outrageous collateral damage is concerned. The US-led coalition’s failures lie primarily in their historical lack of political coordination with the Sunnis. ISIS has thus been able to easily exploit this cleavage and deeply consolidate its roots in disenfranchised Sunni communities. Hence, to improve the effectiveness of the strategy against ISIS, the US-led coalition needs to learn from the past mistakes of Sunni disenfranchisement made by the Bush and Obama administrations, bolster the Sunni voices in Iraq and Syria calling for unity, and ultimately help re-create a strong notion of a unified Sunni community in the region. Only then can the US and its allies gain an upper hand in gradually squeezing out ISIS’s influence and its exploitation of these areas. Thus far, the approaches taken by US leaders to quell terrorist recruitment have been ineffective because they have all generally lacked Sunni inclusion throughout the region. Since the 2003 Iraq War, both the short-sighted de-Baathification policies of the Bush administration’s state-building efforts and the Obama administration’s lackluster approach towards Syria allowed highly disenfranchised Sunnis in both nations to resort to ISIS for answers, inevitably increasing its influence and strongholds across the region. After the US invasion of Iraq in 2003 and the fall of Saddam Hussein’s regime, the Bush administration introduced indiscriminate and ultimately detrimental de-Baathification policies. Over the course of a few years, the Iraqi government and military was swiftly purged of all remaining Sunni Baathists from the former regime. In turn, the US Coalition Provisional Authority installed exclusively Shia militias and officials into the government. Such a move quickly marginalized thousands of Sunnis once under Saddam Hussein. As a result, the then-developing militant Sunni group, Al Qaeda in Iraq (AQI) conveniently capitalized on the widespread Sunni disenfranchisement and gained significant support and influence in the region, later rebranding itself into the Islamic State in 2013. The 2003 US-led Coalition Provisional Authority pursued de-Baathification as an attempt to eliminate all remaining Baathist influences from Saddam’s fallen regime in the country. Simultaneously, the Bush administration invited in some of the largest Shia militias of Iraq, who used the new government to further increase their own power in the country. As a consequence, Sunnis became incredibly frightened of being tied to Saddam Hussein and were soon treated as the enemy by the Shias ruling Iraq. Instigated by the US’s short-sighted rebuilding efforts, this overnight reversal of Iraq’s power dynamics drove victimized Sunnis to seek assistance from AQI, the emerging Iraqi affiliate of Al Qaeda that pledged to reassert Sunni control across the country. 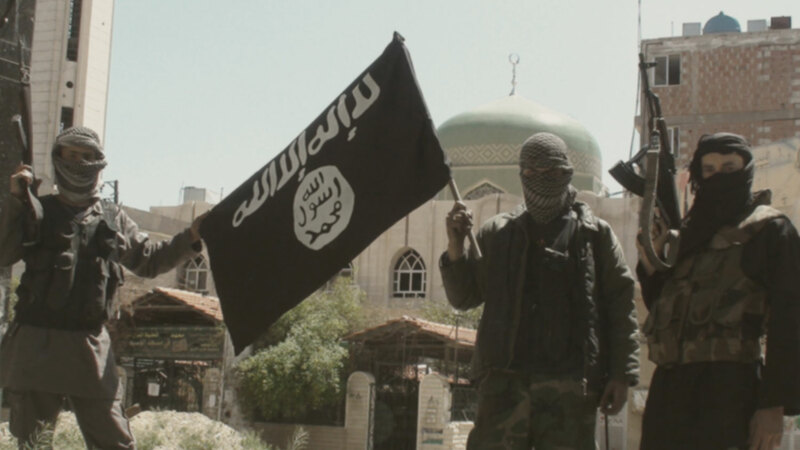 As increasing Sunnis regarded AQI as a necessary vehicle of protection, the jihadist group expanded and was eventually able to morph into the Islamic State of today. The Bush administration’s offensive foreign policy created favorable conditions for the emergence of the Sunni military. However, the Obama administration’s passive attitude towards the Syrian civil war was ultimately responsible for allowing the Islamic State to capitalize on the disenfranchisement of “abandoned Sunnis.” Obama’s swift pullout from Iraq in 2012 was initially lauded as a productive step. Nancy Pelosi, the then House Minority Leader praised the move, stating that it honored “the US-Iraq Security Agreement and the wishes of the American people to bring all our troops home.” However, in hindsight Obama’s unwillingness to get involved in Syria has indisputably contributed to the further disenfranchisement of Syrian Sunnis and fuelled the growth of ISIS. Two years after the 2011 uprising, Sunnis harbored increasing hatred for the violently oppressive Assad regime. During these early years, the Obama administration should have adopted a proactive approach towards Syria and committed its full support to moderate groups of the opposition in exchange for non-sectarian behavior. However, Obama’s refusal to intervene during those critical years conveniently gave more hardline jihadist groups an upper hand in recruitment. Disenfranchised Sunnis increasingly turned towards groups such as the Islamic State for sectarian solidarity and a means of protection, and the jihadist militancy managed to effectively broaden its influence and establish a de-facto capital in the northern Syrian city of Raqqa. As the Islamic State rapidly expanded, its leader, Abu Bakr al-Baghdadi, flared the sentiments of Sunni disenfranchisement by proclaiming an alleged international conspiracy, accusing the West of encircling and beleaguering this majority sect of Islam. Thus far, the growing fear and beleaguerment felt by the Sunni community in Syria and other regions have served as nothing but ammunition for ISIS’s expansion. In fact, in July 2013, Syria’s then largest rebel faction, the Free Syrian Army (FSA), publicly expressed its willingness to cooperate with ISIS, stating, “ISIS are our brothers who came to help us in a time when other Islamic and Western countries kept silent about the regime’s crime” Once described as the “cornerstone brand of Syria’s moderate opposition, representing the original moderate vision of the revolution,” the FSA has become largely decentralized and currently faces great dysfunction within its ranks. Had the Obama administration crafted US foreign policy during the war’s early years to display a committed willingness to engage with and assist these and other moderate Sunnis in their fight against the Assad regime, they would likely have resisted the calls of extremist groups like ISIS for desperate solutions. Hence, the new Trump administration needs to seriously modify the existing methods of the US-led coalition against the group and rally the Sunnis. As the frontrunner of this global fight, the United States should acknowledge the potential and importance of of Sunni Muslims in the region to serve as a vanguard proxy to fight the Islamic State. The US should work to help Iraq revive its notion of a resilient and united society from its weak sense of nationalism. This includes bolstering Sunni voices in the country that are already calling for national unity. The Trump administration cannot afford to demonize Iraq and other Arab countries, as it did so with its repeated (but failed) travel ban attempts. By implementing these actions, the United States will further distance already frustrated Sunnis in fear of international beleaguerment and essentially sleepwalk into al-Baghdadi’s conspiracy. This will result in increased leverage for ISIS and the guaranteed failure of any future American approaches toward cooperating with the region’s Sunni Muslims. As we witness rising aggression surrounding the Trump administration’s foreign policy, seen from the most recent slew of missile launches targeting Syrian governmental airbases as a response to the Khan Sheikhoun chemical gas attacks, as well as the largest non-nuclear bombings of ISIS caves in Afghanistan, it is clear that the US is taking a much more resolute stance against the Assad regime and ISIS itself. Nonetheless, exclusively resorting to military approaches will not yield any long-term results. Instead, the US needs to further rally the region’s Sunni Muslims in the fight against brutality and radical extremism. No matter what approach the US-coalition eventually settles on, one thing is certain: a continued American passiveness towards engaging with the Sunni community has already and will continue to embolden ISIS’s view that the West has little regard for these Muslims. As a result, Sunni disenfranchisement will continue to rise as it has done since the Iraq War. The United States and its allies must shift their current approach. Only by acknowledging the disenfranchisement of Sunnis in the region and extending a genuine helping hand will there be any actual hope in degrading and destroying ISIS. In the meantime, ISIS will continue to exacerbate the region’s societal divisions and use the mass Sunni disenfranchisement as a feeding ground for its expansion.